Toronto Ontario (September 10, 2016) –September 10 – 14 — Hollandia takes the lead on day one of the 24th Canada’s Cup (#canadascup)match-race regatta at RCYC. 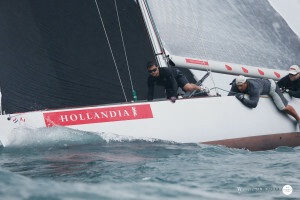 The two races were completed in medium wind conditions. 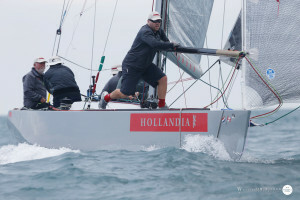 Hollandia won both races but not without taking duels and penalty turns. Tomorrow’s racing will take start at 10:30AM. Modern Grand Prix 8 Metre yachts compete in a match-race regatta for the honour of the coveted Canada’s Cup www.canadascup.org . 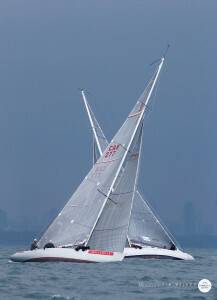 The Canada’s Cup, an America’s Cup style sailboat match-race, between Canada and the United States, attracts high performance sailors from across the region to compete in Great Lakes sailing. They will partake in a “best of seven or first to win four races” series of match-races, a one-on-one style of sailboat racing, to decide on the winner of the 24th Canada’s Cup on the 120th anniversary. RCYC invites media to get an up-close look of the on-water racing. We are supplying drivers and chase boats. 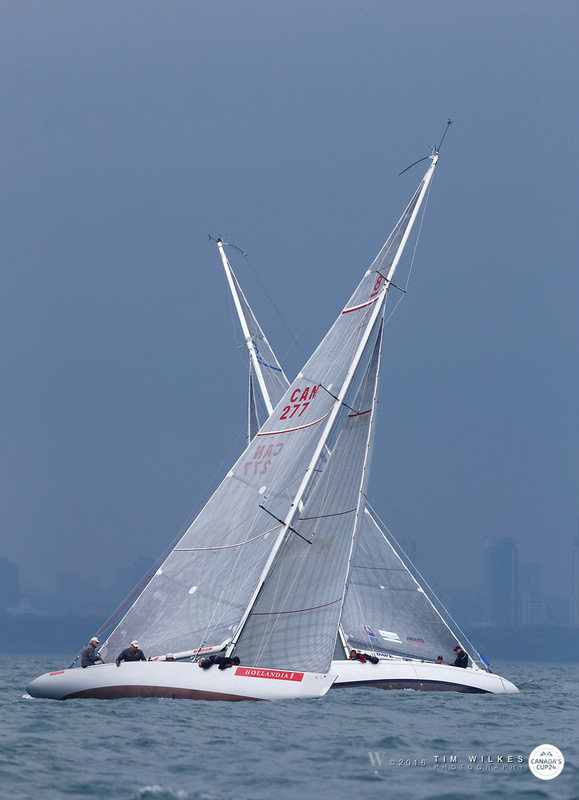 Toronto’s RCYC is the current holder and defender of the Canada’s Cup. The defender is the yacht club who won the previous Canada’s Cup while the challenger of record is the yacht club who officially issues the challenge for the next regatta in hopes to win the coveted Canada’s Cup. The challenger for the 24th Canada’s Cup is the Youngstown Yacht Club from New York State. The trials, or qualification series, take place in July for both the Canadian and US teams. Gefion, Hollandia, and Lafayette are the Canadian contenders while Aluette, Natural, and Yquem 1 are the US contenders. The winners will compete in the 24th Canada Cup in September. The tradition of yacht racing and cruising has been in the hearts and souls of Youngstown Yacht Club sailors since its inception. The Club’s first yacht was the Blue Moon, a New York 30 sloop which dropped anchor off the Club dock on July 2, 1931. The nine-man syndicate from Buffalo that brought her to Youngstown joined a small group of promising local sailing enthusiasts and formed the Youngstown Yacht Club. In 1936 the fledgling Club agreed to hold the L.Y.R.A. regatta in Youngstown. Enthusiastic racers from Lake Erie sailed into the mighty Niagara River to attend the event. Struck by the prevalent natural beauty and exceptional sailing conditions, these sailors decided to stay, bringing to the Club a cadre of experienced sailors who were to provide much of the Club’s leadership for the next 40 years. Overnight, Youngstown became a power in Lake Ontario racing, and a sailing center for the Buffalo area. The Club has been increasing membership, improving facilities, and promoting racing and cruising ever since.